4 results found in "Saintholly"
The HDMI Extender over cat5e/cat6 is a tool for extending your HDMI signal over long distances to a compatible display. 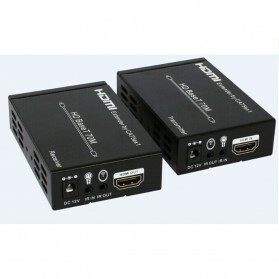 It is designed to convert HDMI signal to standard HDBaseT signal and transmitby Internet cable. Warna kabel dikirim secara acak tergantung stock persediaan yang ada. ST-209 is an HDMI to AV Converter, allowing you to enjoy high-definition effect brings experience immersive experience. ST-V200A transmits VGA video up to 200m away from a computer using CAT5/5e/6 cable. 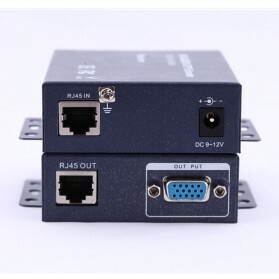 Each video audio extender consists of a local unit that connects to a computer and also supplies video and audio to a local monitor. Terdapat logo Taffware di fisik barang. Saintholly VGA to HDMI Converter ST-218 is a high definition video converter which converts HDMI digital signal to VGA analog signal and analog audio signal.